Hotel Neukirchen is one of these moderately attractive mega-hotels that popped out of nowhere all over the Alps in the 1970ies. 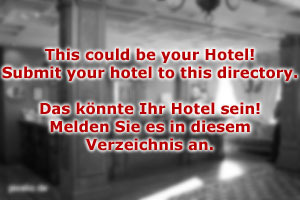 It has more than 80 double rooms and is a four-star hotel in the town of Neukirchen am Großvenediger. The surroundings offer great slopes and Alpine vistas. Hotel Neukirchen itself offers over-priced rooms during the skiing season and real bargains during the summer, when hiking is nice, but not all that popular as compared to skiing. Hotel Neukirchen developed out of an old farmhouse, which also served as an inn. With the rise of the skiing industry, the inn proved inn-sufficient to accommodate the thousands and thousands of package tourists that come to the are for skiing. The hotel was extended in 1965, again in 1972 and again in 1985. Today, the building looks a bit awkward, but this is nothing compared to other hotels in the area. At least we have enough space for catering for no less than 8.000 over-night arrangements, which we sell every year - two thirds of them during the skiing season, by the way. Hotel Neukirchen has a large restaurant for the exclusive use of our guests. Here we serve breakfast and dinner; snacks for lunch are available, too. Note that all of our arrangements are half-board and include breakfast and dinner. There is a large bar area where you can either gear up for going out to the nearby clubs or finish the day after the initial Apres ski drinks. Hotel Neukirchen also has a storage facility for your skiing equipment, a pick-up service from the airport, a shuttle service by bus between hotel and the slopes as well as an in-house ski rental company. All that makes us one of the most attractive ski hotels in the area. 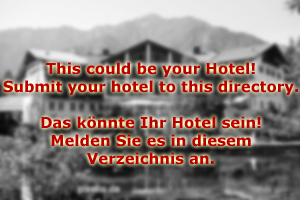 The friendly staff at Hotel Neukirchen is looking forward to hearing from you. Send a non-binding enquiry today and we promise to get back to you within 24 hours.